John Denver (1943-1997) on the occasion of his 70th birthday, is being celebrated as the Legacy Recordings, the catalog division of Sony Music Entertainment, label’s Artist of the Month for December 2013. Fans are urged to join the John Denver estate in celebrating his legacy by using the hashtag #RememberJohnDenver on Facebook, Twitter and Instagram posts so all messages can be collected in one place. Fans are also urged to tell “My John Denver Story” at mystory@johndenver.com, recalling when they first fell in love with the artist, or one of their favorite Denver songs or experiences, including concerts or personal meetings with him. Each week, one fan’s memory will be shared with fans worldwide at http://myjohndenverstory.tumblr.com/. John Denver, who would have turned 70 on December 31, 2013, was a multi-faceted singer, songwriter, actor, environmental activist, philanthropist, and long-time RCA, Windstar and Sony Music recording artist. The beloved two-time Grammy Award®-winning artist (and five-time host of the Grammy Awards® broadcast), was also honored as the Poet Laureate of Colorado. Denver began his solo career when he was signed to RCA Victor in 1969. It was his 1967 tune, “Leaving, On A Jet Plane,” that received notice, when Peter, Paul & Mary recorded it that year on their first ‘folk-rock’ LP, Album 1700. It became PP&M’s one and only #1 hit. The song entered the Hot 100 on October 25, 1969, the same issue in which Rhymes & Reasons charted, Denver’s RCA debut, containing his own version of the song. John Denver emerged from the folk music movement of the 1960s to become one of the most celebrated entertainers of the ’70s and ’80s – with a string of nearly three dozen Billboard chart hits including the standards “Leaving On A Jet Plane,” “Take Me Home, Country Roads,” “Rocky Mountain High” (an official state song of Colorado), “Sunshine On My Shoulders,” “Back Home Again,” “Thank God I’m A Country Boy,” “Annie’s Song,” “Calypso,” and many others, a body of work that will continue to resonate for years to come. Throughout his RCA recording career, Denver released some 22 studio, live and Christmas albums, averaging at least one release per year from 1969 until 1988, when he moved over to the Colorado-based Windstar Records. To date, Denver’s catalog has sold over 33 million records including eight Billboard Top 10 Albums in the U.S. (three of which hit #1). These include seven RIAA multi-platinum, thirteen platinum and 20 gold album certifications. A number of landmark events have already marked 2013 as John Denver’s estate honors his memory and music during his 70th birthday year, including a tribute album released in April called, The Music Is You: A Tribute to John Denver (ATO Records), featuring a collection of his most popular songs as recorded by a diverse group of artists ranging from Dave Matthews, My Morning Jacket, and Train, to Lucinda Williams, Emmylou Harris, and many others. “John Denver: A Rocky Mountain High Concert” visited several major cities, presenting an innovative virtual presentation in which for the first time in 15 years, Denver was seen performing on giant video screens, backed live by former members of his band, accompanied by a string section. The concert featured archival video footage of Denver performing hit songs spanning his career, along with stories of life on the road with the artist as told by old friends and fellow performers. 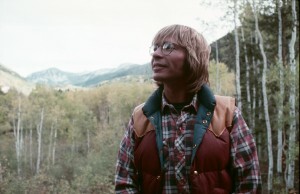 Legacy will continue its role as the steward of John Denver’s enormous audio and video catalog, with special attention to two best-selling titles: The Classic Christmas Album (released 2012), a 16-song collection of favorite holiday tunes gathered together from his long out-of-print albums, Rocky Mountain Christmas (1975) and Christmas, Like A Lullaby (1990); and The Essential John Denver (released 2007), the definitive two-CD retrospective, containing 36 singles and album tracks spanning his recording career on RCA and his own Windstar label from 1969 to 1995.